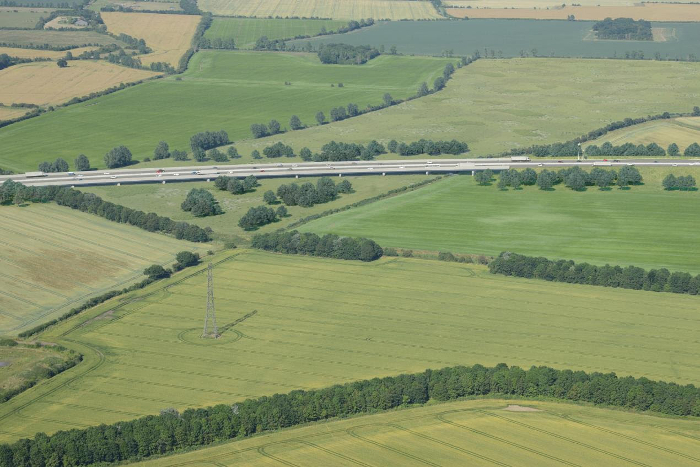 With a major consultation into a new Lower Thames Crossing entering its final week, Highways England (HE) is offering a preview of the route that will be the UK’s biggest road project since the M25 was built. The new Lower Thames Crossing will be the first new crossing of the estuary east of London in more than 35 years. 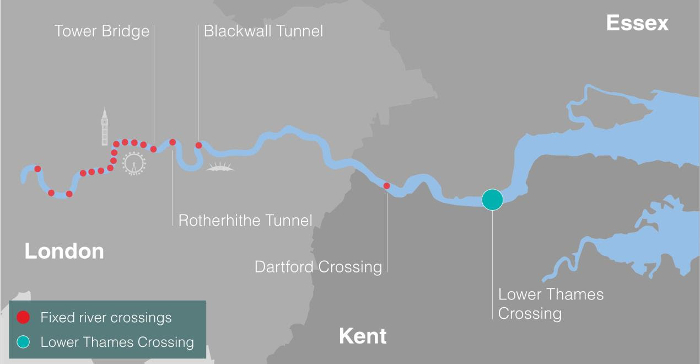 It will nearly double road capacity across the river Thames and almost halve northbound journey times at the Dartford Crossing when it opens to traffic in 2027.The first Dartford Crossing tunnel was opened in 1963, with a second tunnel in 1980. Above ground, the Queen Elizabeth II Bridge opened in 1991, since when 1.5 billion journeys have been made across it. This crossing was designed for 135,000 vehicles a day, but it now carries more than 180,000 vehicles daily, demonstrating that a new Thames Crossing is urgently needed. The new Lower Thames Crossing is designed to connect communities, boost the economy, and add vital extra resilience to the country’s road network, while reducing pressure on the existing Dartford Crossing. 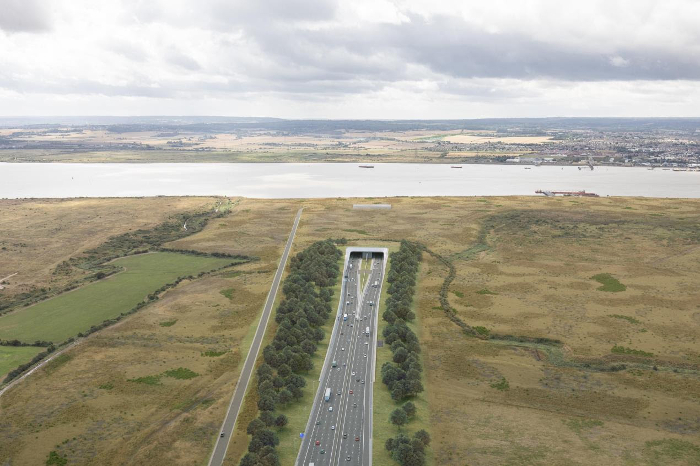 It is set to be the most ambitious road project since the M25 London Orbital Motorway opened 30 years ago and will include the UK’s longest road tunnel. The 14.5 miles (23.3km) long route connecting Gravesham in Kent and Thurrock in Essex is expected to reduce traffic at Dartford by 22%, with 14 million fewer vehicles using it every year. It will almost halve the morning peak average journey times between M25 junctions 1b and 31 from nine minutes to just five. HE’s 10-week consultation, which has included more than 60 public events, closes on this week on December 20.